Homes for sale in the areas of Savage and Jessup span parts of Howard and Anne Arundel Counties. Whereas Savage is located soley in Howard County, the town of Jessup is situated in Howard and Anne Arundel Counties. Located about 20 miles south of Baltimore and 20 miles north of Washington, these towns provide an ideal location for commuters, while providing easy access to Route 95 and Route 1, and their related commercialization. 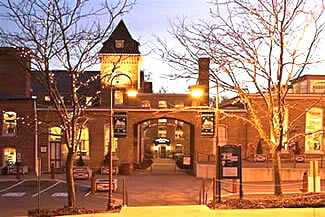 In close proximity is historic Savage Mill, a lovely village of unique shops, restaurants and outdoor adventure activities. The city of Laurel and the planned community of Columbia are also close by. A rare opportunity to own a three finished level 3 BR 2.5 BA town home in sought after Pleasant Chase HOA. Property being offered as is. This is a professionally negotiated short sale. Better than new, Get all the upgrades and a quick settlement. Wood flooring up the steps and on the main floor. upgraded lighting, upgraded 42 kitchen cabinets, backsplash, paver patio, samsung washer & dryer. pull down attic. Back to the preserve. The house has been painted. 2 ceiling fans. 2 french doors. master bath with oversized shower with 2 shower heads, Front entry garage. Priced to sell! security system installed buyer to take over contract. To be built CLARENDON. Make home ownership a reality. This home includes a one car garage, 2 bedrooms, 2.5 bath, Finished recreation room, LED lights in kitchen and so much more! is less than 20 minutes from Baltimore and an easy distance to BWI. Never has convenient townhome living felt as luxurious as it does in the Clarendon, it is sure to fit all your needs. Ascend to the main level and you will find yourself in a welcoming and light-filled open floorplan, more spacious than you thought possible in a townhome. A gourmet kitchen creates a sense of warmth and unity, while the dining room gives a perfect place for entertaining. Upstairs the feeling of space continues with a large hall foyer. The owner~s bedroom is an oasis and features a large shower, dual vanity, and walk-in closet. A second bedroom also features its own bath and an 8x14deck! Images are representative only. M-F 11-6, Sat 11-5, Sun 12-5. Spectacular end unit 2 bedroom 2.5 bath townhouse in mint condition! Custom landscaping! Why wait to build when you can buy this home and move in right away! Come visit Parkside, Hanover's Top Selling Community.Perfect location, easy access to Ft. Meade, NSA, Arundel Mills & BWI. All the luxury updates,stainless steel app.granite counters, gas cooking storage & more.Amenities inc. pool, 24/7 gym, clubhouse & plenty of guest parking! Must see townhouse w/ 1 car garage in perfect, move-in ready condition! This beautiful townhouse features three bedrooms and two and a half bathrooms. Large eat-in kitchen with large island seating area and a walk-out balcony. Relax in the spacious maser suite with upgraded double showers. Beautifully built in 2010, located in a quiet community with a playground, picnic area and extra parking on the street. It is conveniently located close to shopping and restaurants including Wegmans, Starbucks & Target. The community is in close proximity to Ft. Meade, Patuxent Wildlife Preserve with hiking and biking trails. The home feeds into brand new Hanover Hills Elementary School and easy access to 32,95,29 &100. You will fall in love with this stunning home that was completely updated just 4 years ago! As you enter this beauty, the kitchen with its white Shaker-style cabinets, sparkling subway tile backsplash, granite countertops, updated lighting and stainless steel appliances awaits you. A granite bar-top provides a useful transition between the kitchen and dining room - great for casual dining or keeping conversations flowing while entertaining! A handy powder room for your guests and spacious coat closet are conveniently located off the foyer. Gleaming hardwoods have been installed throughout the main level, adding an air of elegant spaciousness to the home. The living room sliding doors lead to a great rear deck - perfect for those summer barbecues! Upstairs, the master bedroom suite features great closet space and a renovated bathroom with updated vanity and beautiful tiling! The spacious second bedroom upstairs has great views and plenty of closet space. The basement family room is the perfect place for relaxing, studying or entertaining and has sliding door access to a lovely back yard. Renovated basement-level full bath makes the finished lower level a great 3rd bedroom or guest space! Plenty of storage and laundry are located adjacent to the basement rec room. Heat pump, water heater and sump pump have all been replaced in past few years, so you can just move in and enjoy! Located on a cul-de-sac, there is one reserved parking space in front of your home and plenty of additional unreserved parking spaces. Easy access to NSA, Ft. Meade, Rte 32, I-95 and I-295 make this beauty a house you will want to call home! Beazer Homes at Parkside offers resort style living in an amenity rich community with nearby shopping, dining, and entertainment, just minutes from 295 and the MARC Train in Hanover. The St. Michael floorplan is a newly designed low maintenance oversized 1-car garage open concept town home featuring an entry level rec room, center or rear kitchen including stainless steel appliances and granite countertops, a spacious master bedroom walk-in closet, and upper level laundry room. HOA fee includes pool, gym, clubhouse, playground, common areas, walking trails and lawn maintenance. Call or visit today! Lovely SUNFILLED END UNIT TOWNHOME in Aspenwoods just minutes from ALL major commuter routes! 3 BEDROOM 2 FULL BATHS & 2 HALF BATHS with woodburning fireplace to enjoy on those brisk nights. SPACIOUS bright kitchen includes baywindow bumpout, nice sized pantry, stainless appliances, granite tops with unique backsplash. Separate Dining Room with serving pass thru window for special holidays! Nice sized Living Room includes wood floors, lots of natural light & fabulous deck to entertain or grill. Master Bedroom includes vaulted ceiling, ceiling fan & a great attached master bath! Tons of storage too! Ft. Meade, NSA, US CYBERCOM minutes away...HOWARD COUNTY HAS SO MUCH TO OFFER...GREAT SCHOOLS, Fabulous LIBRARIES, SPORTS PARKS, AND the best area for exploring HISTORIC ANNAPOLIS, WASHINGTON,DC or BALTIMORE. SHOPPING, CASINOS & INCREDIBLE RESTAURANTS CLOSE BY!! !LOW HOA & TAXES TOO! Seller is offering a 5K contribution toward closing costs!Gorgeous, luxury end-of-group townhome shows like a model! You'll enjoy 4 immaculate levels and the open concept floor plan in this beautifully upgraded Andrew Carnegie model offering everything today's discriminating buyer could ask for. Featuring 4 bedrooms, 4.5 baths with gleaming hardwoods, upgraded kitchen features/amenities, a spacious deck off of the living room and an expansive 4th level deck. Beautiful gourmet kitchen with a large granite island and breakfast bar serves as the centerpiece of the kitchen, plus 42 cabinetry, stainless appliances and a custom glass backsplash complete this beautiful space. Luxury owner's suite features a spa bath and large walk-in closet. The 4th level bonus room/bedroom is perfect with an open plan, ideal as a bedroom or recreation room and offering an en suite full bath, plus a large deck, ideal for entertaining. Last but not least, the first level family room provides a gracious entry into the home and conveniently connects directly to the oversized garage with room for 2 cars plus significant additional storage. Welcome home to 2935 Middleham Court - a home you'll be proud to call your own. Please note: tax record square footage is understated. INCREDIBLE VALUE! This house has over 2600 square feet of living space and shows like a model home with fresh paint, shining laminate flooring, upgraded quartz countertops, vaulted ceilings, chair rail and crown moldings. Enjoy all the natural light in this house, from the large windows in the living room to the glass sliding doors in the family room. There is no shortage of sunlight shining in, you won~t be able to help but feel right at home. Expansive main level with great flow between rooms on the main level. Upstairs features 3 large bedrooms with ample closet space and tons of extra storage in the attic. The lower level is a perfect with the second family room, additional bedroom and exercise room with direct access to the backyard. Outdoors is a large patio perfect for the upcoming summer bar-b-ques and a view of the stream. Perfectly located on a quiet cul-de-sac and near the local Elementary and Middle School. Major renovations and upgrades already completed including roof, heat pump, washer and dryer, sump pump and whole house humidifier.